Hot sugar cane (Cantonese: jit6 ze3 ) was once a popular snack in Hong Kong cinemas, it is also a taste that can be found all across Asia. “Jit Ze – Asian Film and Video Screening” takes film as a medium for connection and association, in the light of such sociocultural topics today in Asia as boundary, social system, belief systems, growth etc. To explore these subjects, Rooftop Institute organized the screening of films, videos and documentaries made by directors and artists from China, Japan, Thailand, Vietnam and the Philippines; each screening session will be followed by a series of public seminars and artist dialogues. 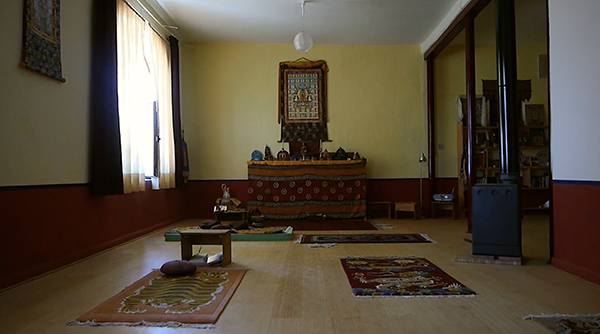 “Jit Ze” is the first programme organized by Rooftop Institute. We hope these films will provide a new perspective to understand Hong Kong’s neighboring countries. With its choice of films and documentaries, this series will reflect particularly on the following issues: reflect on history through colonial and boundary disputes; ponder over the social systems through the everyday life of people from the lowest stratum of society; think about values through dreams and adherence; see through the myth of civilization and progress through the struggles in growth; and lastly, look for the possibility of resisting memories in history through our body. The screenings are sponsored by the Po Leung Kuk“Soaring Dreams” － Youth Development Fund. All programmes are free and open to the public. Special Thanks : Professor Frank Vigneron, Dong Bingfeng, Dayang Yraola, Marysia Lewandowska, Hitomi Hasegawa and all the participating directors and artists. 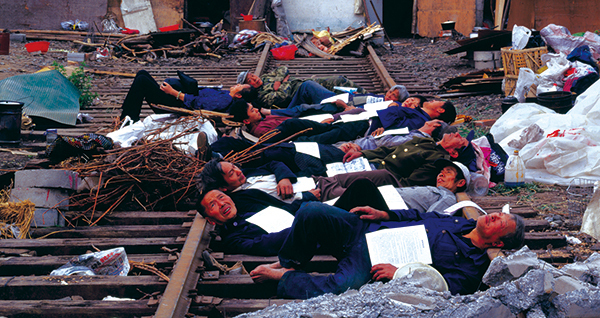 In 1996, Zhao Liang met by chance hundreds of petitioners at the Beijing South Railway Station. They were clothed in rags like beggars, and surrounded by temporary shanties and tin buckets for cooking. Right next to the Beijing South Railway Station stands the State Bureau for Letters and Calls and the Supreme People’s Court. Petitioners are all gathered in this area. Being the weakest group in society, they are tormented by fear and the experience of many years of petitioning without any progress. However, they do not give up easily and their determination never waver. Zhao Liang explored in depth this system of infinite cycles and followed the tracks of a mother and daughter for a period of 12 years. In this 318-min full version, the film is divided into 3 parts, “The Petition Village”, “Mother and Daughter” and “Beijing South Railway Station”. “Crime and Punishment” shed light on the daily routine work of a state police station in a small town near the China–North Korea border. The tangle between the police and suspects, as well as the people involved in various cases, are investigated in details. 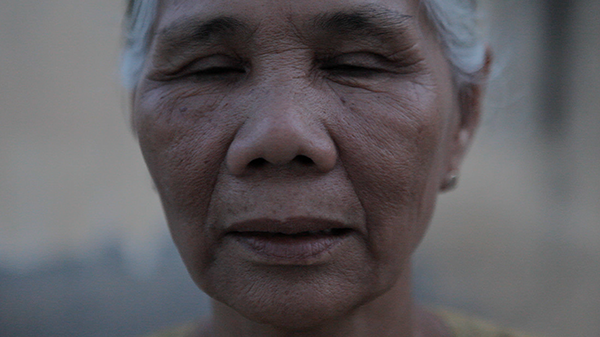 The film features several cases: an elderly scavenger faces challenges to his dignity while being investigated for his overdue business license; a hearing-and-speech impaired suspect is suspected of stealing; a farmer describes the hardships he experienced in his life as the reason behind his act of illegal logging after being interrogated for nights. All works in this program are screened with the kind permission of the individual artists. Being one of the most active artists of moving images in contemporary China, Zhao Liang’s works express the self-consciousness of “public awareness”. The touching stories of the weakest groups in society attract Zhao who uses them as a starting point for his films. With these experiences, he is able to look into the fundamental structure of Chinese society. The heavy price paid to make a fast growing economy in China possible and the transformation of the social structure provide the setting for his films. During the dialogue, Zhao Liang will share his experience and explain the various moments of his creations.session, Zhao Liang will share his experience and explain the various moments of his creations. The year 1989 is both a turning and starting point for contemporary Chinese video art which undoubtedly changed profoundly with the times. The fields of “independent film” and “new documentary movement” as examples, it is possible to show that they developed as a result of grievances on democracy and freedom. Throughout the 1990s, the creations as well as the aesthetic concerns of films, documentaries or video art were closely associated with the topic of the rapid progress of modernization. The concept and development of the field of “independent film” in China are very different from those in South Korea, Japan and Hong Kong, either of its aesthetics, forms, and even ways of research and publishing. 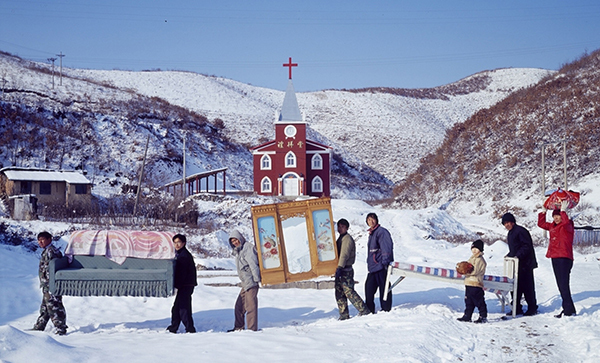 During the talk, Dong Bingfeng will share his research and observation of the field of independent and art films in China. The story starts with the interview of a young man called Aod, living near the Thailand-Cambodia boundary, who joined the army. The film is about the Preah Vihear Temple, which had been listed as a UNESCO World Heritage Site in 2008, and the critical issues of sovereignty between Thailand and Cambodia. 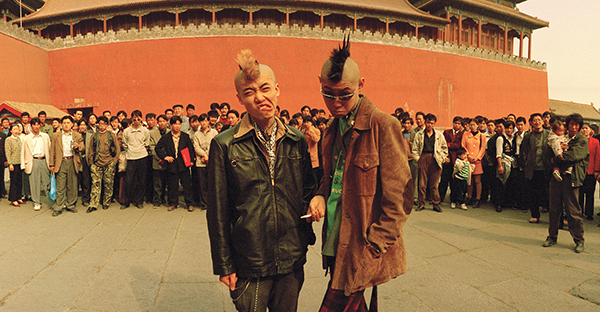 The red-shirts and the yellow-shirts’ rituals of drawing lots, the armed conflicts taking place next to the temple, the interviews of the locals, and their attitude towards life are shown throughout the film. These angles from the lives of ordinary people gradually reveal the truth behind the critical issues related to the Preah Vihear Temple. With his film, Nontawat the director, hopes to make viewers reflect on the meaning of “boundary”; not just territorial boundary, but also the boundary between social classes, between life and death and between happiness and sorrow. 2014 Young Director Award, Bangkok Critics Assembly Awards, Thailand. 2013 63rd Berlin International Film Festival (Forum). The clips that Fujii used in this short film are picked from “The Educational System of Japan” by the former US Department of the Commander-in-chief of the Army. From a large amount of images and videos, the director selected clips on education and edited them with the perspective of the US army. The narration showed how the Japanese empire brought Japanization out of education, fitting the everyday life of people into the national policy. On the other hand, Fujii has conducted a workshop on wartime memories with local Korean students, during the Artist-In-Residence programme in the National Art Museum in South Korea. The students, who participated in the workshop, after watching several clips, followed Fujii’s instructions and used their body to express the incidents shown in those images. The two sets of frames appears on and off throughout the film. It starts off with the cut and edited historical memories from historical facts. Fujii attempts to focus on recording how people treat and resist these facts nowadays. 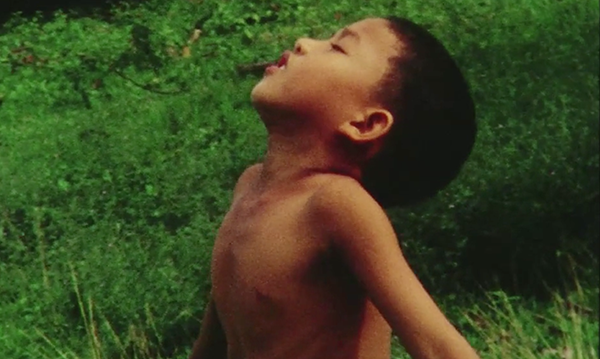 The essay film, made in the form of a letter exchange between two filmmakers, was inspired by the fact that the Vietnamese government is to build Vietnam’s first two nuclear power plants in Ninh Thuan, right at the spiritual heart of the Cham people, threatening the survival of this ancient matriarchal Hindu culture that stretches back almost two thousand years. The film also alludes to the legacy of war and colonialism; exploring and reflecting on landscape and portrait, documentary and fiction, art and ethnography, as methods of working in film and art, and their limitations in accessing the other cultures, peoples, experiences, as well as history and the past. 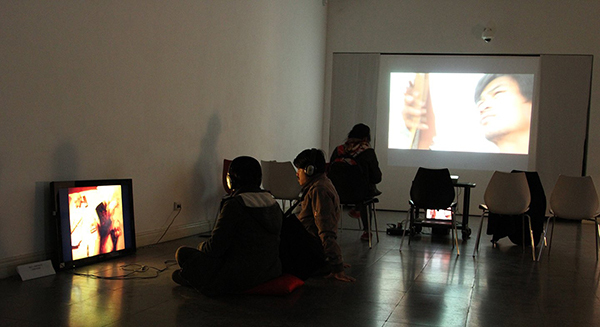 DocLab is a video art and documentary organization in Hanoi established by artist Nguyen Trinh Thi in 2009. 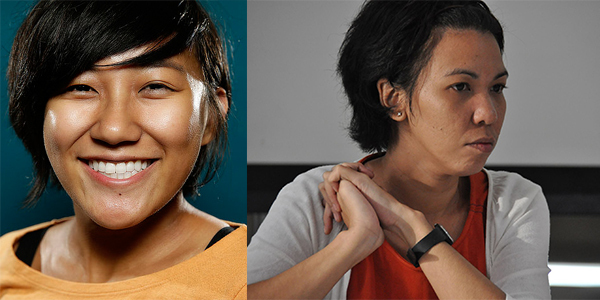 DocLab cultivates a new generation of Vietnamese independent filmmakers and media artists while encouraging the development of local audience. The center has a library of classical and contemporary documentaries, experimental films and video art, books on film theory and criticism, history of filmmaking and video art etc. DocLab provides film production, post-production and screening equipment to support the wide range of activities for its students, visiting artists, and filmmakers. 1/F, 98 Apliu Street, Sham Shui Po, Kowloon, Hong Kong. “Spanish Vignettes” documents the scenery during the artist’s short stay in the Sierra Nevada in Spain. After the filming, he found a series of diaries by a young man named Chang Chi from Hunan, China. Chang Chi studied Mining and Metallurgical Engineering in the US in 1918 and he joined the International Brigade in Southern Spain to fight against Franco’s Fascist regime. In 1939, Chang Chi came to Hong Kong and wrote the book Spanish Vignettes about his experience in the Spanish Civil War. The video blends the artist’s observation of the natural landscape of the Sierra Nevada, with the words by Chang Chi in a time of war. The two different observations and journeys through two different periods eighty years apart. Looking back to the dream in memory, what can we experience now? Every morning, at the crack of dawn, father and mother stretch Julio, pulling his limbs in opposite directions. Standing in the blazing heat of the sun, he is made to drink a concoction made from the liver of codfish, believed to stimulate growth in children. In this family with six children, father hunts for food while mother tends to domestic duties, leaving Julio and his siblings alone, exposed to their lush natural environs. Soon enough, the youngest two are taken away and distributed amongst the two aunts without offspring of their own. “Big Boy” chronicles the growth of a family, the myths of progress that consume them. “The Kalampag Tracking Agency” is a screening program in the form of an initiative. It’s an organizational collaboration between Shireen Seno of Peliculas Los Otros and Merv Espina of Generation Loss. “The Kalampag Tracking Agency”, featuring some of the most striking films and videos from the Philippines and its diaspora from the past 30 years, this programme was curated within the uncharted topographies of Filipino alternative and experimental moving image practice. With a variety of formats, techniques and textures; from 8mm and 16mm to HD and cellphone video; from optical print experiments, ethnographic documents and video installations.